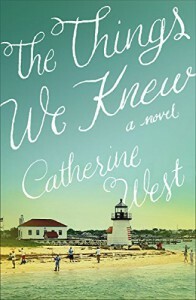 Catherine West has crafted a story and a strong cast of characters that grab hold of the reader and don't let go. The relationships and individual struggles of the five siblings, and with Nick as an honorary sibling in childhood, were compelling and (having four siblings myself) quite believable. The atmosphere/feel of the novel is a little bit Grey Gardens, a little bit Places in the Heart, and brings to mind the feel of the first few episodes of the TV show Parenthood... then again, it is nothing like them. Easily one of my favorite books of the year, I cannot recommend it highly enough. I often say, when I enjoy a book, that I am looking forward to reading more from the author. Here I will say that I need to read more from Catherine West. I need to know the stories of the other Carlisle siblings and Wyldwood, their Nantucket family home. 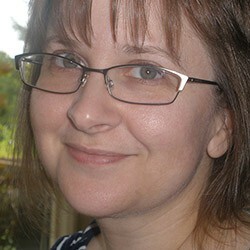 This review refers to an ebook copy received from BookLook Bloggers for review. The opinions expressed are my own.